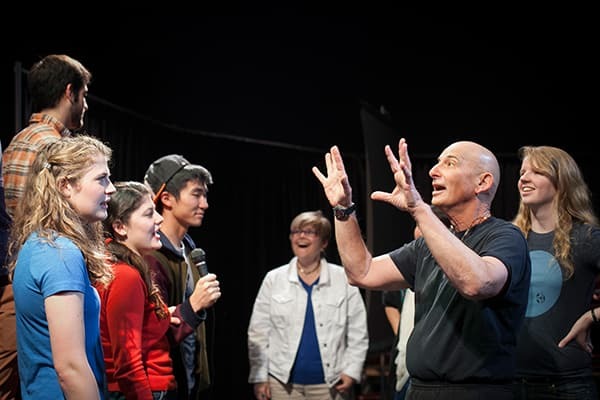 The Department of Performing and Media Arts leads students from all disciplines through artistic and scholarly explorations of live performance forms, such as theatre and dance, and mediated forms, such as cinema and television. Students are challenged to think creatively, critically, and historically about the world around them as they identify and interpret the power of image, sound, gesture, and movement and cultivate their own artistic and academic voices. See the performances and events schedule for the 2018–19 academic year. Read examples of how Cornell alumni have used skills gained in PMA in their careers. 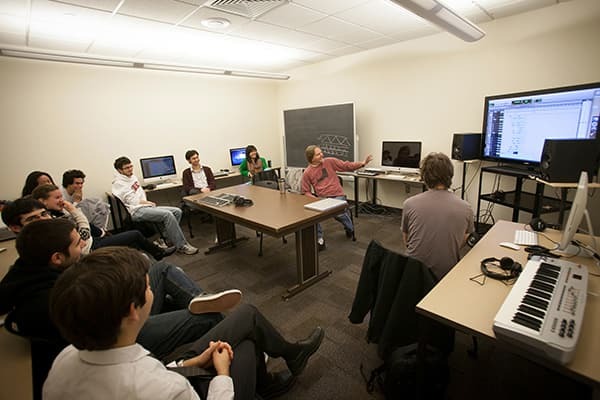 Our faculty’s strengths span the spectrum of expertise in the performing and media arts, with accomplished researchers and industry professionals building a robust curriculum. Recent faculty accomplishments are detailed in our News section. View a full list of our faculty. Our vision is vitally diverse and transnational. In courses and creative endeavors, we focus on the dynamic relationship between art and community. We engage the world around us through our work and fully believe in the arts’ social, political, and cultural impact on local and global problems.